Just booked on David Bellamy’s Art Workshop at Sidmouth…. As I sit here on this miserable Tuesday afternoon, what better way to spend it than with a good book. I popped out this morning to track down the latest bargain from Aldi (18v battery drill to be precise), only to find on my return Steve Halls latest book on watercolour in my mailbox. On a day like today the idiot postman had left it sticking out of the mailbox. Fortunately it hadn’t got wet. For those of you who don’t know of Steve Hall, his style of painting is very much in the Ted Wesson/Ted Seago vein, but sufficiently different for him to be his own man. Well, what can I say. 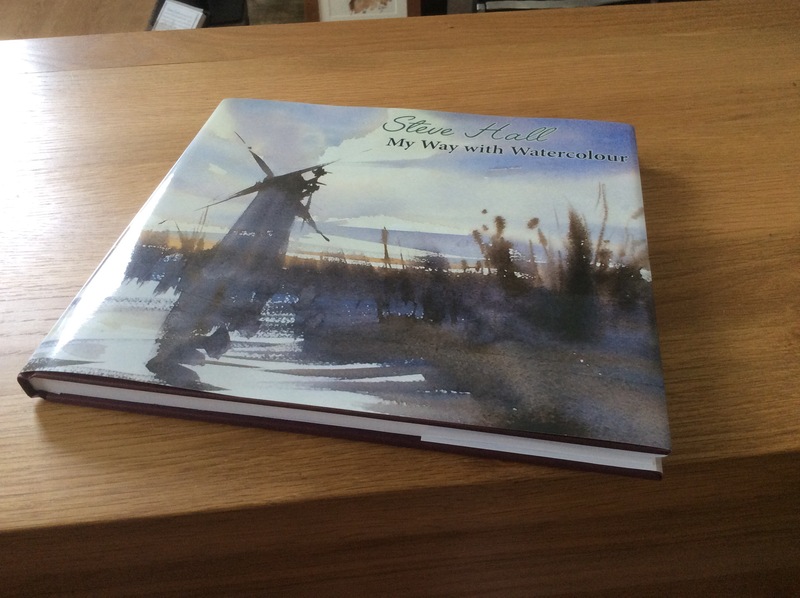 The book is inspiring, crammed full of Steve’s paintings as well as excellent advice on watercolour painting. It really makes me want to emulate the style contained within its covers. I have other books and DVD’s by Steve, but this book, for me, is the icing on the cake. Did someone mention cake?? That’s a great idea with a cup of coffee while I carry on reading.